Non-lethal weapons, also called less-lethal weapons, less-than-lethal weapons, non-deadly weapons, compliance weapons, or pain-inducing weapons are weapons intended to be less likely to kill a living target than are conventional weapons. The company Information Unlimited offers a very wide assortment of electromagnetic weapons and construction manuals, plus various other utensils. On the company’s website there are things like an EMP generator or the Electromagnetic Blaster Gun. With these weapons one can comfortably fire at and torment his neighbors or other people from the armchair in the living room. 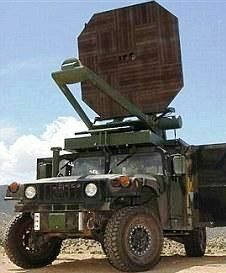 Pulled out: The Active Denial System, or 'Pain Ray'has been withdrawn from Afghanistan by the US military. 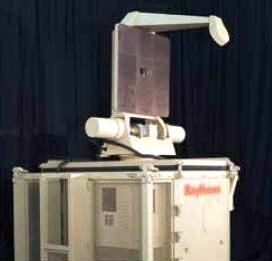 The “Active Denial System" of the US military: Pain generated by Rumsfelds Ray Gun. Microwave weapons have been hot tested on persons. A non-lethal -- but potentially harmful -- crowd control weapon that heats human skin is bound for Iraq, and possibly to a police department near you. A tough-talking Texan named Edward Hammond has to be a key element of any accurate study of the spooky history of what the military calls the "Active Denial System." The head of The Sunshine Project, a Texas-based group opposing biological weapons, Hammond shows his disdain for military excesses through swear words and federal disclosure suits that seek to lift a window on military science projects. Two times now, he says, Marine Corp staff handling his Freedom of Information Act claims have mailed him the wrong envelope, mistakenly sending him materials meant for another military office, envelopes that contained classified information. ADT emits a 95 GHz non-ionizing electromagnetic beam of energy that penetrates approximately 1/64 of an inch into human skin tissue, where nerve receptors are concentrated. Within seconds, the beam will heat the exposed skin tissue to a level where intolerable pain is experienced and natural defense mechanisms take over. This intense heating sensation stops only if the individual moves out of the beam’s path or the beam is turned off. The sensation caused by the system has been described by test subjects as feeling like touching a hot frying pan or the intense radiant heat from a fire. Burn injury is prevented by limiting the beam’s intensity and duration. 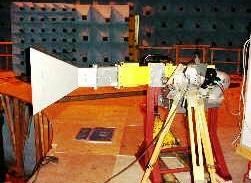 DoD-sponsored millimeter-wave human effectiveness testing, initiated in 2001, has demonstrated ADT as both effective and safe without any long-term effects. It is expected that the DoD-funded human effectiveness testing of the small-beam ADS by the AFRL HEDR during the next six to eight months will validate its effectiveness and safety as a nonlethal weapon system. Military officials said the weapon was one of the key technologies of the future. "Non-lethal weapons are important for the escalation of force, especially in the environments our forces are operating in," said Marine Col Kirk Hymes, director of the development programme. The weapon could potentially be used for dispersing hostile crowds in conflict zones such as Iraq or Afghanistan.It would mean that troops could take effective steps to move people along without resorting to measures such as rubber bullets - bridging the gap between "shouting and shooting", Col Hymes said.A similar "non-lethal" weapon, Silent Guardian, is being developed by US company Raytheon. 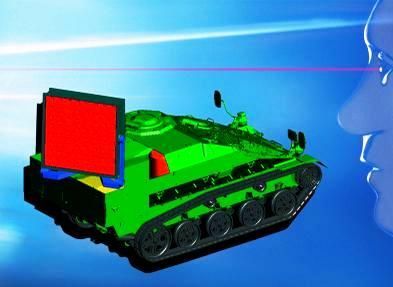 360-degree operation for maximum effect Antenna, linked to transmitter unit, can be mounted on vehicle Automatic target tracking Antenna sealed against dust and can withstand bullet fire Invisible beam of millimetre-wave energy can travel over 500m. Heat energy up to 54C (130F) penetrates less than 0.5mm of skin. Manufacturers say this avoids injury, although long-term effects are not known. Microwave - test arrangement: "It feels as if the skin burns." 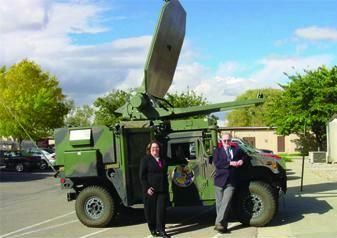 Remote «microwave weapons» though are considered to be "a humane" weapon, it is capable to cause more harm than an acoustic gun. 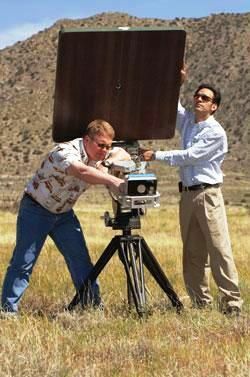 are highly energetic microwave systems, they can be used for personal and object protection. 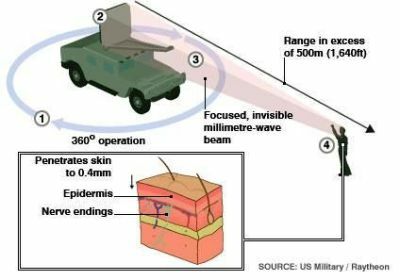 US laser can blind soldiers. saves lives, stops aggressors, protects assets and is proven safe. To think, that passive radar is radar, that detects foreign radar beams is old. It is new, that by this technology, people, cars and planes can be supervised, without the revelation of the supervisors. Instead of the usual diaphragm that normal speakers use to make sound, the long range acoustic device uses a set of piezoelectric transducers which are capable of converting electrical energy into sound. These piezoelectric transducers are permanently polarized, so any distortion of the shape of such transducers creates an electrical impulse and vice-versa. By using a power source to supply this electrical impulse, piezoelectric transducers can rapidly change their shape, therefore, creating sound waves in the process. 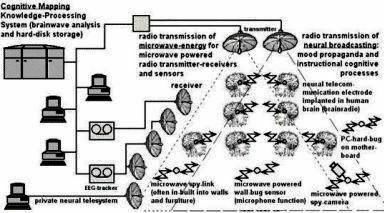 The transducers are also arranged so that they are in phase with each other so that the resulting sounds they emit can combine to make the projected sounds louder.The sound that the LRAD produces can be directed so there's less-than-normal dispersion. This results in a 20-dB drop in the volume of sound 15 degrees outside the beam. This directional sound propagation stems from the fact that the LRAD employs outer and inner transducers in creating sound waves that are not completely in phase with each other. 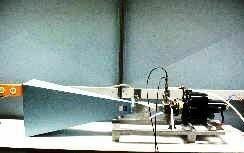 This enables other sound waves to cancel out those that are in the outermost portion of the beam. The resulting wave front of the sound is also flatter than usual, preventing the sound from being dispersed as it propagates. Moreover, as the LRAD-produced sound waves interact with the air, they create additional frequencies within the wave and thus amplify the sound and pitch. 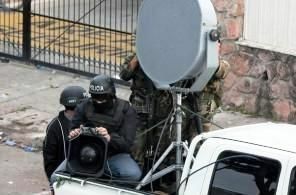 The primary advantage in military and law enforcement circles is that the LRAD is a less than lethal solution that has the potential to prevent antagonists from continuing their unwanted activities, without endangering the friendly personnel. 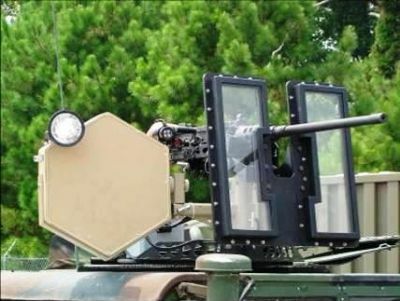 A U.S. military LRAD in front of U.S. military laser distracter. Source: DoD Non-Lethal Weapons Program 2008 Annual Report. The loud sounds the LRAD emits may cause permanent hearing damage to those within its range. The LRAD sound wave can be cancelled altogether through the use of common earplugs. The better the earplugs are at blocking sound waves, the less effective the LRAD is. Sounds emitted from the LRAD can be reflected back to the source by using a flat solid object. 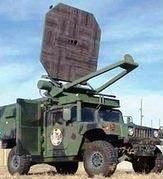 The Long Range Acoustic Device (LRAD) is a distance hailing device and non-lethal crowd control weapon developed by LRAD Corporation to send messages, warnings, and harmful, pain inducing tones over longer distances than normal loudspeakers. looks not too aggressive, but for modern business continuers like Captain Flint and Henry Morgan it made an influencing impression: it is possible to take them barehanded. The LRAD device was on hand at protests of the 2004 Republican National Convention in New York City but not used; it was extensively used against opposition protesters in Tbilisi, Georgia, in November 2007. The magazine Foreign Policy has revealed that LRADs have been sold to the government of the People's Republic of China. According to A. Akimov, these fields come in at least three types: E-fields, S-fields, and G-fields. The E, S, and G stand for Electric, Spin, and Gravity fields. The torsion field and its emanations are subtle energy fields. They are separate and distinct from classical Electric, Magnetic, and Gravity fields. Generators for these fields can be shielded against electro-magnetic fields and the torsion fields still manifest itself through such shielding. 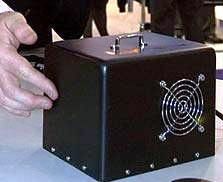 Torsion fields can be generated, detected, switched on and off (such as for communication purposes), and are a distinct type of energy field heretofore not included in today's classical physics. Torsion field emanations can travel at velocities at least as high as 109 times the speed of light. Torsion fields can interact with laser beams (change frequency); affect biological processes; are generated by melting or solidifying some materials; affect quartz crystals; affect some electronic components; can favorably change some beverages; and have been noted to affect gravity. According to Akimov, torsion fields coupled with the standard electric, magnetic, and gravity fields should provide means for a unified field theory that will extend the realm of science to include the effects of consciousness. The concept of dowsing, for example, can now have a scientific basis for explanation of the phenomenon. If this suggestion by Akimov proves viable, then science has an opportunity to extend its borders more rapidly into the so-called psychic realms. That could be a multi-decade venture of considerable importance to the expansion of scientific knowledge. 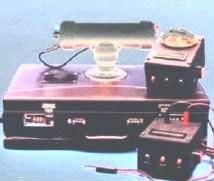 A couple of issues ago, NEN began advertising "gravity-wave tapes" and a multi-channel "gravity-wave detector". You may question our motive. After reading some of the Russian literature about torsion fields, your editor became almost convinced that there was a similarity between the so-called gravity waves of Ramsay and Hodowanec and the torsion fields. If correct, then the Ramsay gravity-wave detector will be an excellent torsion-field measuring instrument. Therefore, we have obtained copies of professional papers from three groups of scientists working on torsion fields in Russia. All three of these torsion-field articles are published in volume2, no. 3-4 of the Journal of New Energy. In Russia, several types of torsion-field generators have been patented and some are available to purchase. As a result Akimov et al. view the vacuum as a physical medium that can assume various polarization states. Given charge polarization, the vacuum is manifested as the electromagnetic field. Given matter- polarization, it is manifested as the gravitational field. And given spin- polarization, the vacuum manifests as a spin- field. All fundamental fields known to physics correspond to specific vacuum polarization- states. Thus the above "torsion- field theory of the physical vacuum" can claim that all objects, from quanta to galaxies, create vortices in the vacuum. The vortices created by particles and other material objects are information carriers, linking physical events quasi- instantaneously. The group- speed of these "torsion- waves" is of the order of 109 C — one billion times the speed of light. Since not just physical objects, also the neurons in our brain create and receive torsion- waves, not only particles are "informed" of each other's presence (as in the famous EPR experiments), also humans can be so informed: our brain, too, is a vacuum- based "torsion- field transceiver." This suggests a physical explanation not only of quantum non- locality, but also of telepathy, remote viewing, and the other telesomatic effects discussed above. In 1993, G.I. Shipov published a book "Theory of Physical Vacuum" wherein he described "Akimov's torsion generators and torsion technologies". Download the full English text of Dr. Rubakov's review (requires a subscription to Physics-Uspekhi). Physics-Uspekhi, # 3, 2000. V.A. Rubakov: review on the book by G.I.Shipov "Theory of Physical Vacuum". 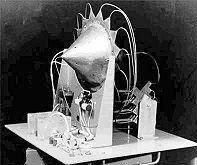 The psychothron generator is the general name appearing in mass-media, publications, for a different kind of devices influencing the mentality, hypnotizing with the help of technical methods, and even "reading thoughts". They can change mental and physical indicators of the person. By "definition" it generates a certain "psychothron radiation that irradiates victims for psycho terror purposes. The term "psychothron" was used by journalists, though this term is not absolutely correct, because during irradiation and the subsequent special processing not only psychic behavior of the person, but also the whole organism gets suppressed. is used for remote control of the psychophysical condition of a person, and his behavior. supervises physiology, muscle movements, actions, emotions, memory, thoughts, consciousness during day- and nighttime. The HAARP device is a grandiose complex, that consists of hundreds of aerials. It was ostensiblymade for auroral ionosphere researches and was built on the military range of the US in Alaska. The general-major of the Federal Agency of protection of the Russian Federation Boris Ratnikov also considers the HARRP-device as one of the dangerous kinds of psychothron weapons. 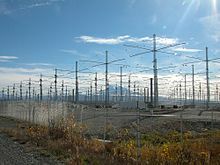 The HAARP project directs a 3.6 MW signal, in the 2.8–10 MHz region of the HF [high-frequency] band, into the ionosphere. The signal may be pulsed or continuous. 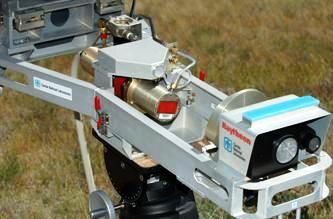 Then, effects of the transmission and any recovery period can be examined using associated instrumentation, including VHF and UHF radars, HF receivers, and optical cameras. According to the HAARP team, this will advance the study of basic natural processes that occur in the ionosphere under the natural but much stronger influence of solar interaction, and how the natural ionosphere affects radio signals. Heute waren schon 5 visitors (107 hits) hier!